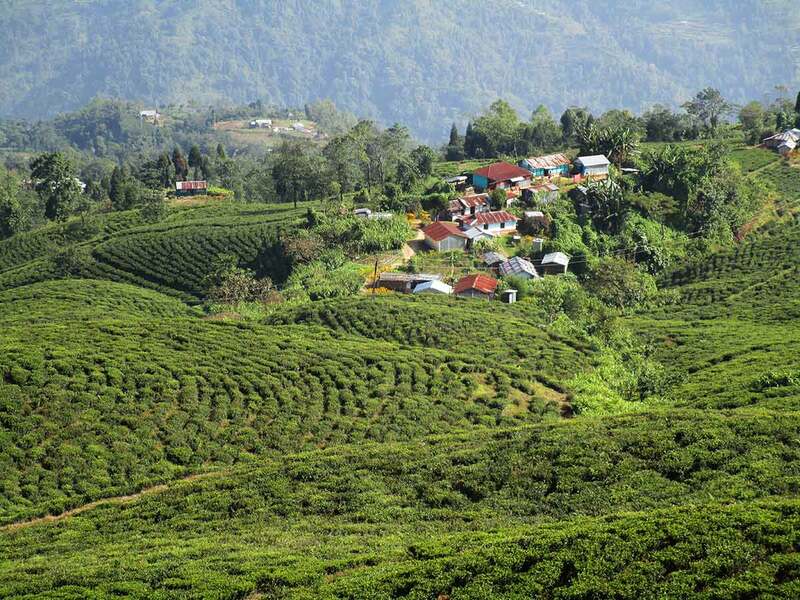 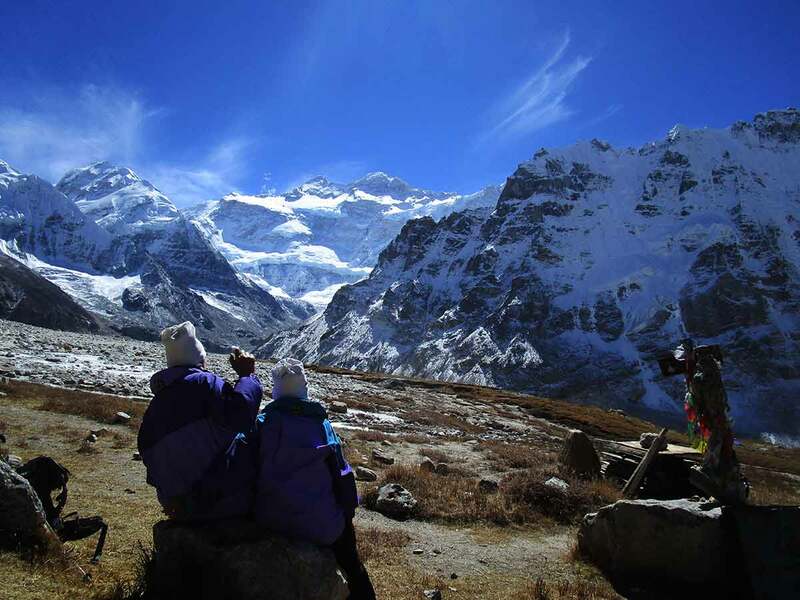 Kanchenjunga is located far east of Nepal. 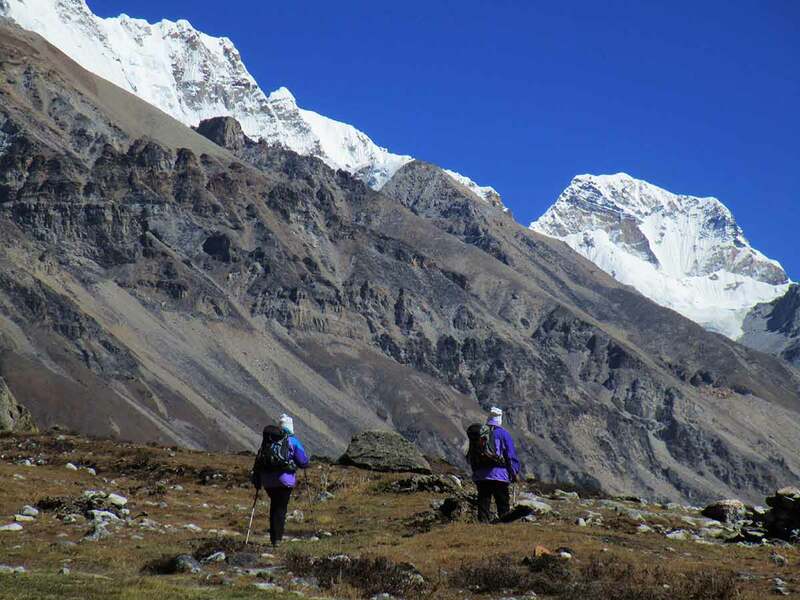 The trek to the base camp of world’s third highest peak, Kanchenjunga (8,586m.) 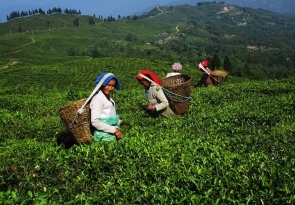 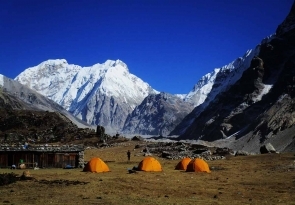 offers an infinite variety of landscapes, cultures and panoramic views of Himalayas. 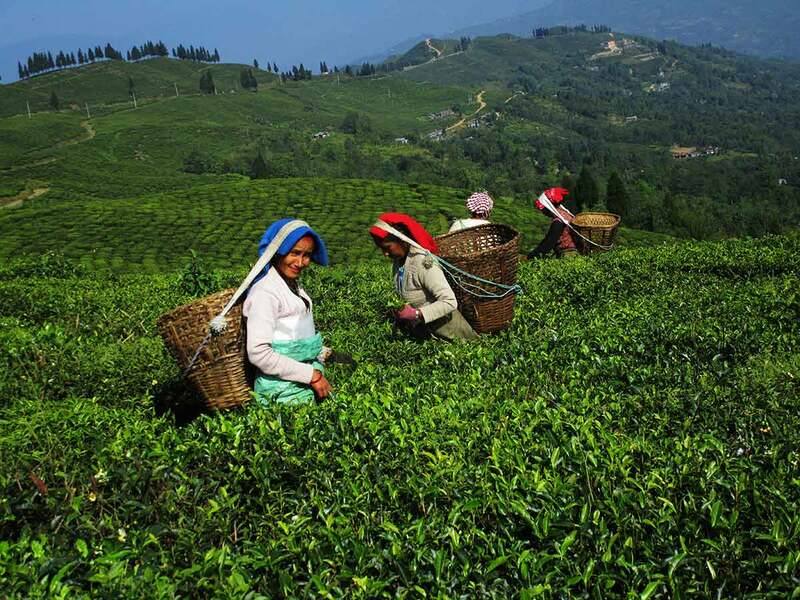 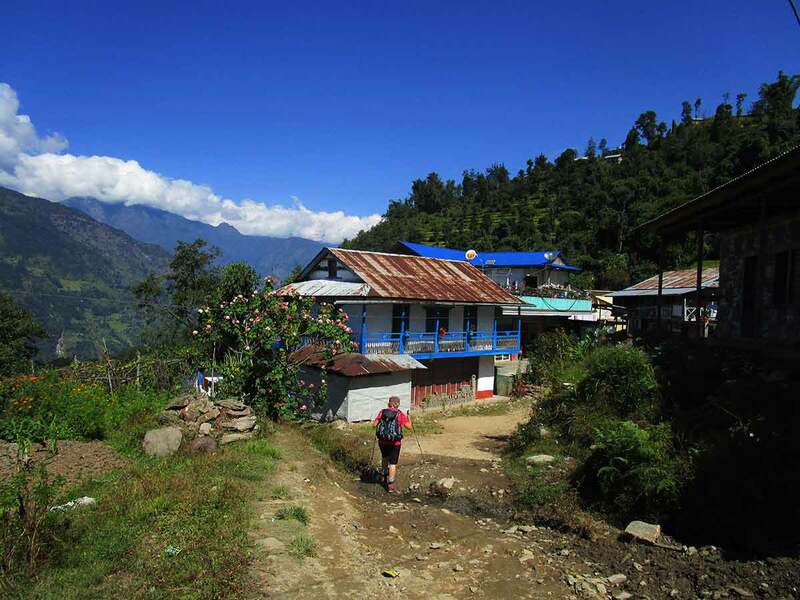 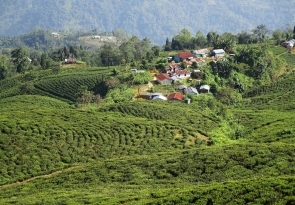 Walking on the low lands of Nepal passing terraced fields, colorful villages, green forests, and the trek enter into a ridge line of rhododendron. 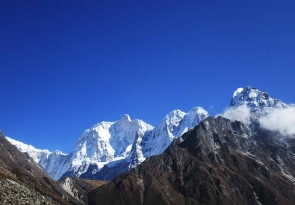 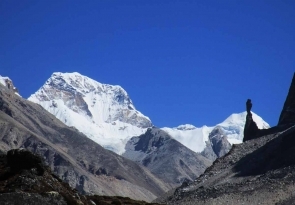 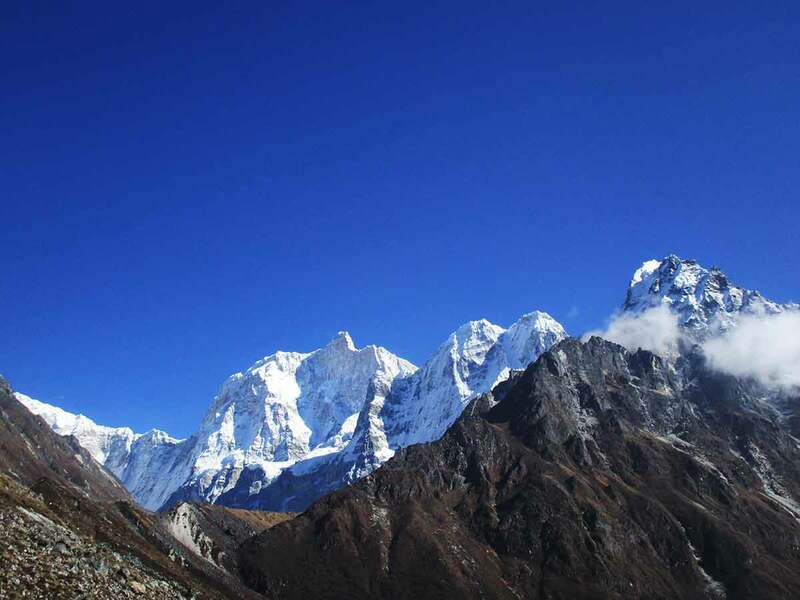 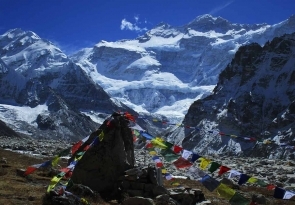 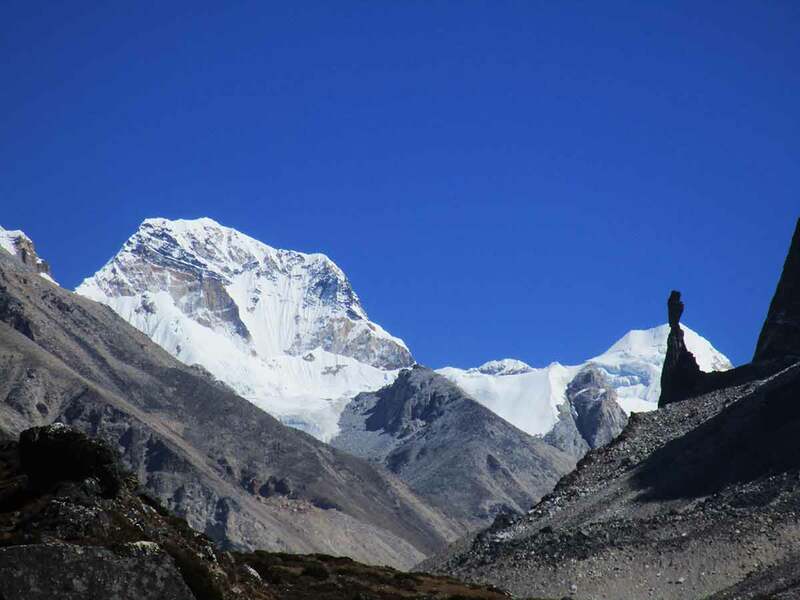 As the trail gains altitude, gorgeous views of Everest, Lhotse, Makalu & Kanchanjunga our of the worlds five highest mountains make the trek rewarding. 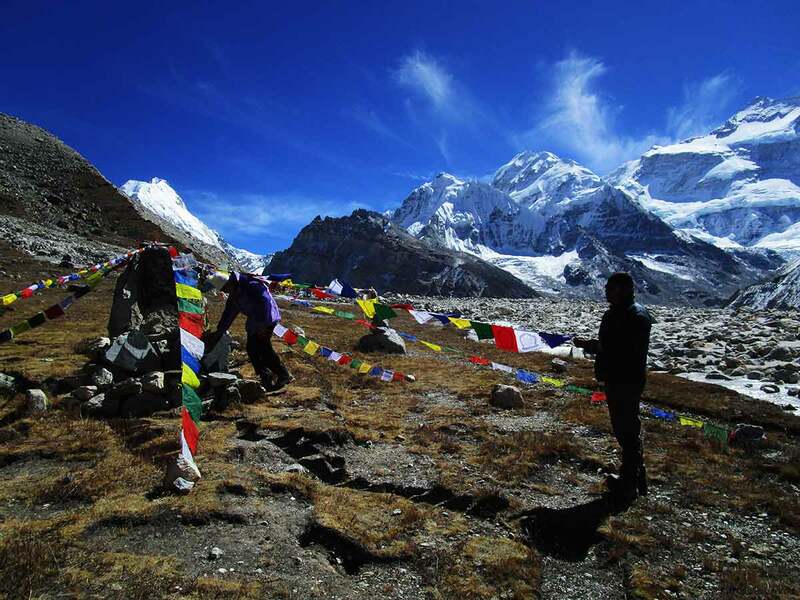 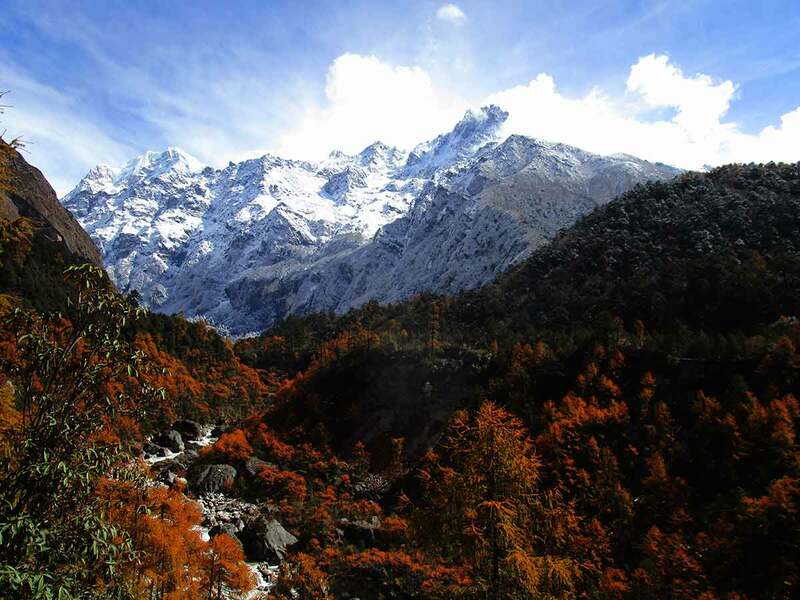 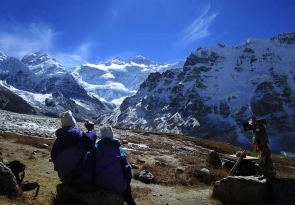 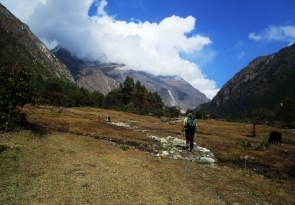 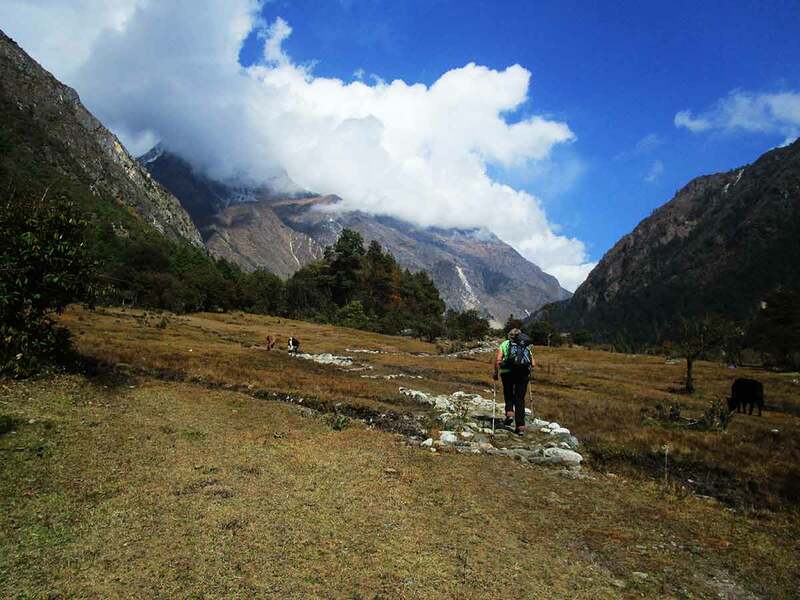 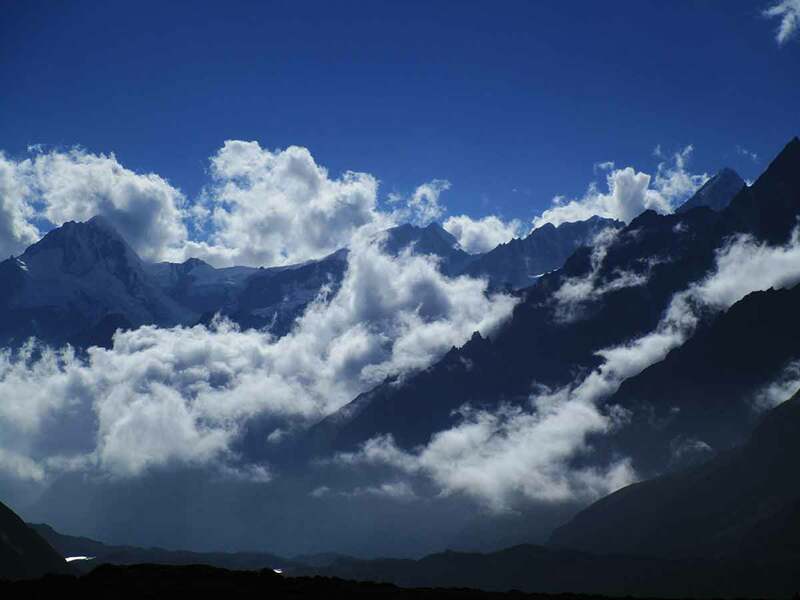 Approaching Yalung glacier & crossing a series of passes, the views become more magnificent. 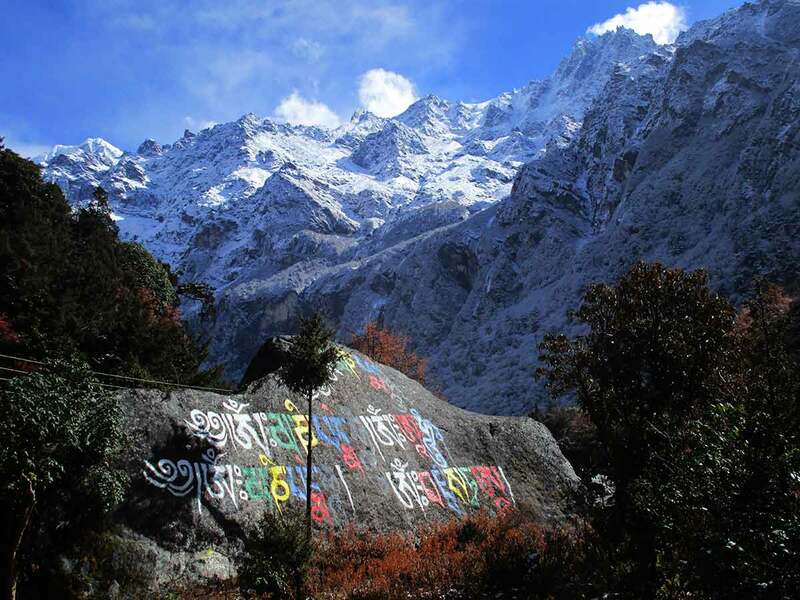 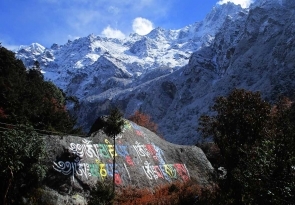 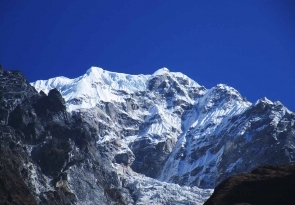 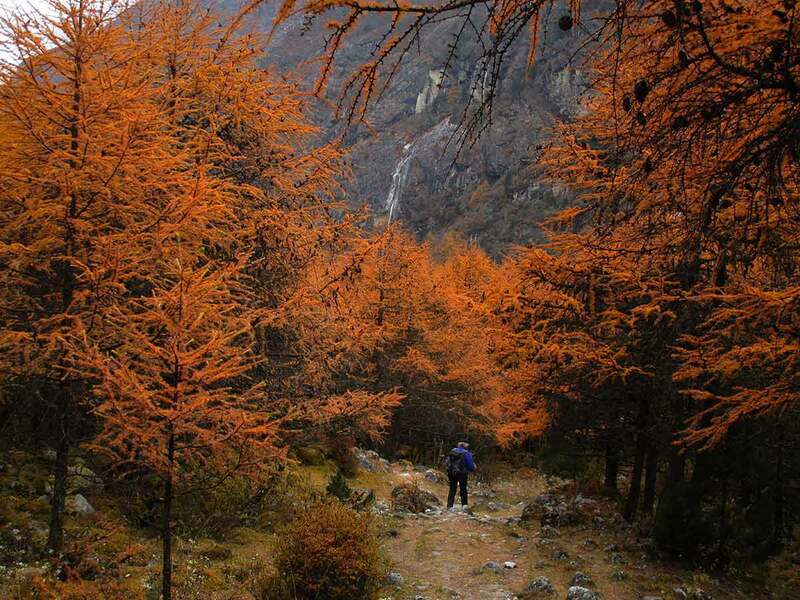 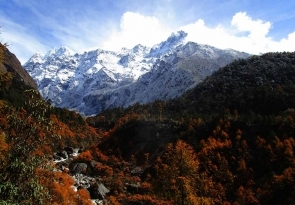 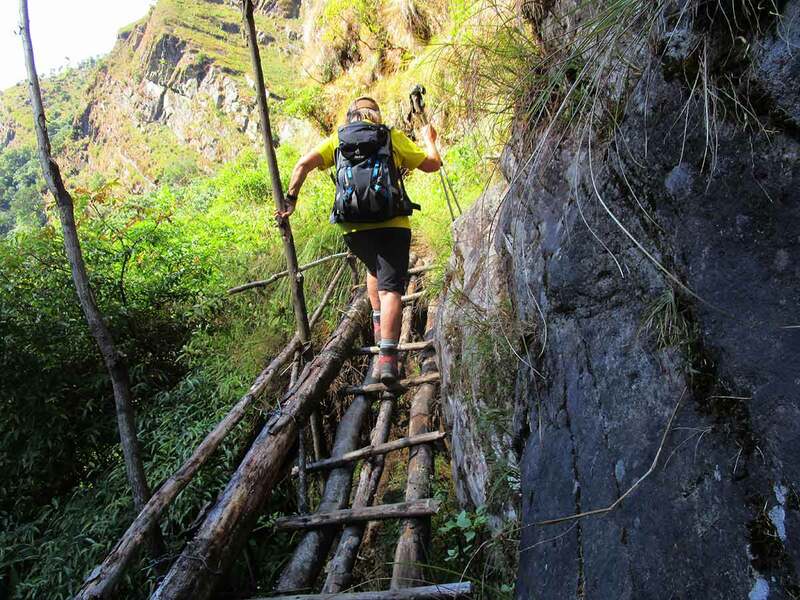 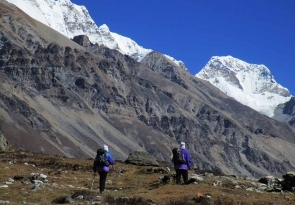 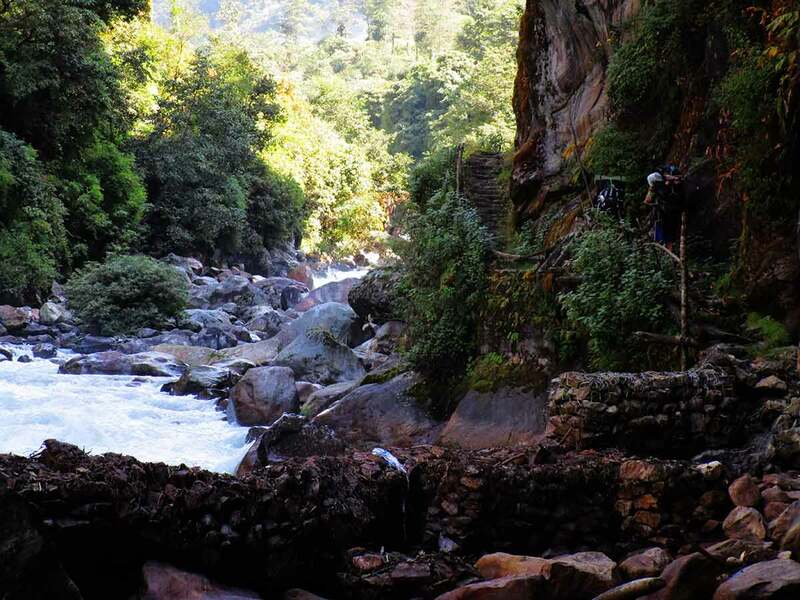 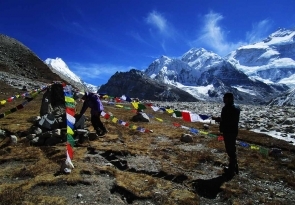 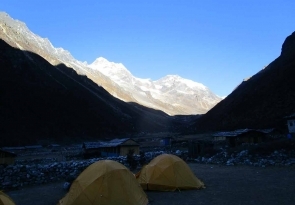 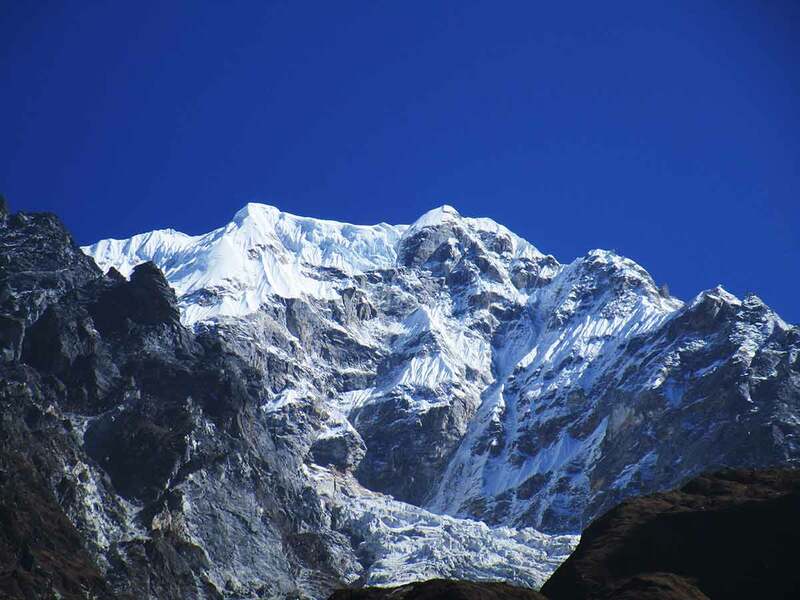 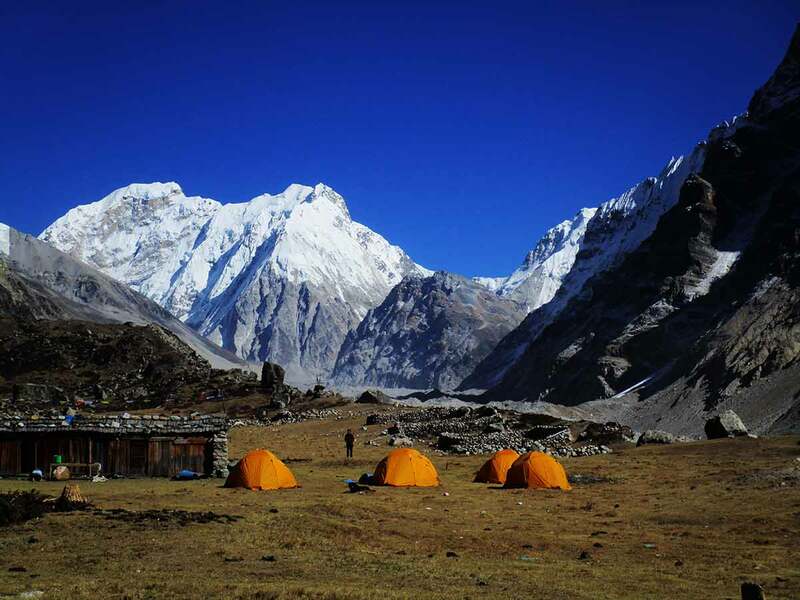 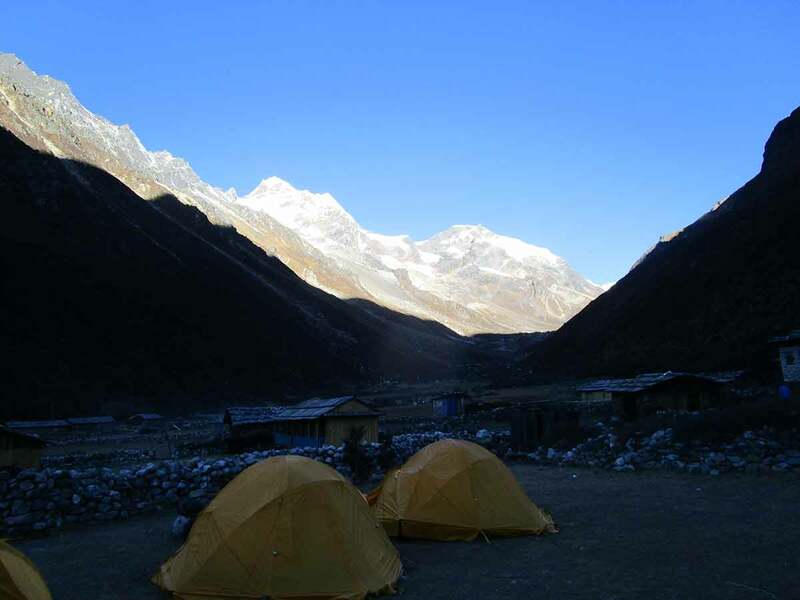 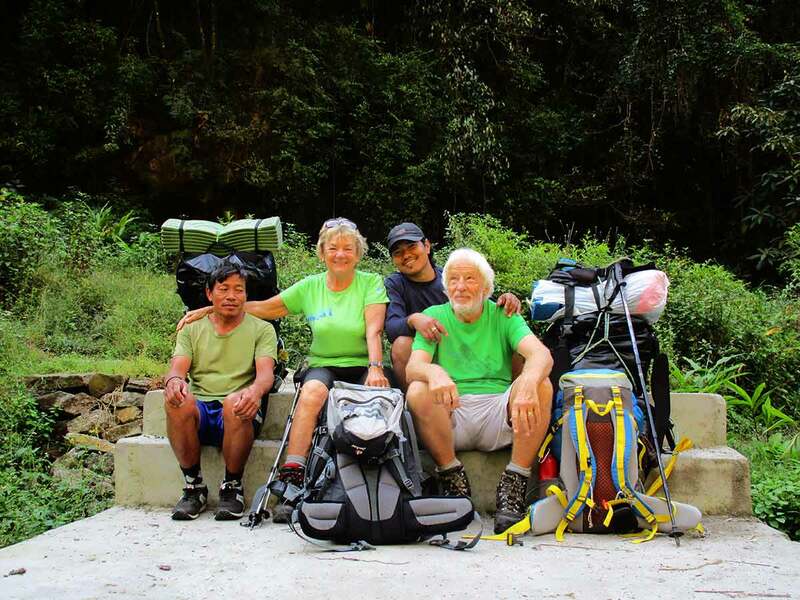 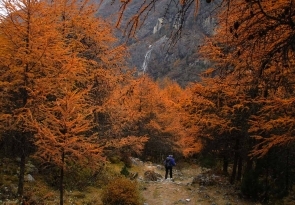 The trail reaches Pangpema (4800m) which is the base camp for Kanchenjunga expedition. 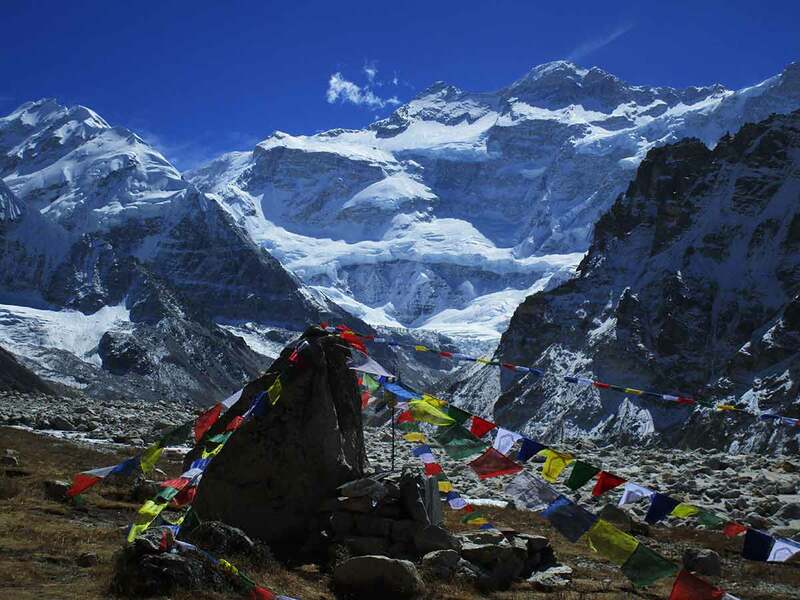 Himalayan Sights: Makalu, Everest, Kanchanjunga, Janakchuli, Dhorma Peak, Pathibhara Himal, Kiran chuli, Nepal Peak, Kumbhakarna, Chang Himal, Tapleshikhar, Givigela Chuli, Dzanye Peak, Lashar Himal & More attractive snowcapped peaks etc.